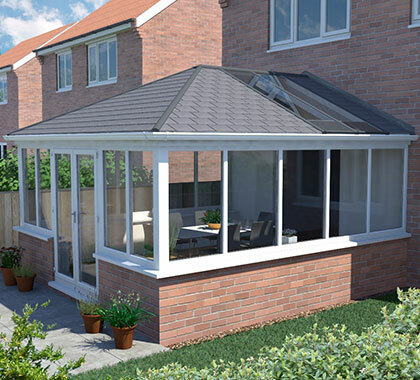 UltraRoof380’s lightweight tiled roofing system gives you the most advanced roof available on the market today. 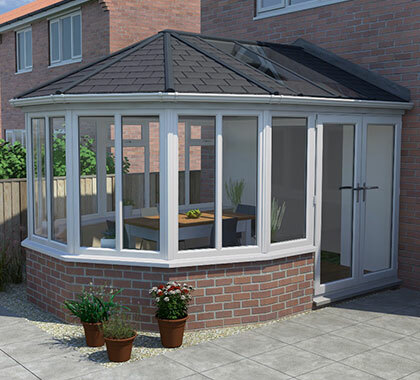 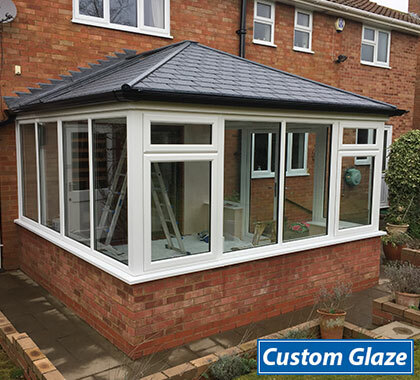 Perfect for new builds and replacement conservatory roofs (subject to survey). 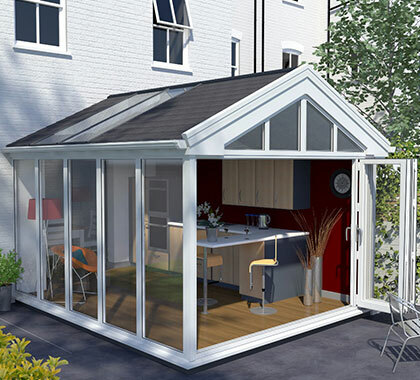 Internally the UltraRoof is second to none. 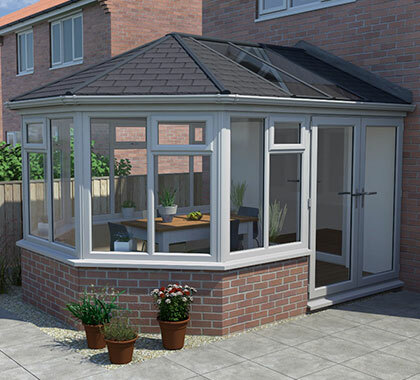 Around the perimeter of the ceiling sits an internal pelmet which can be used to insert spotlights or speakers and at the apex of the roof you can choose to add a fl at panel enabling you to insert down lights or hang pendant lights for main or mood lighting. 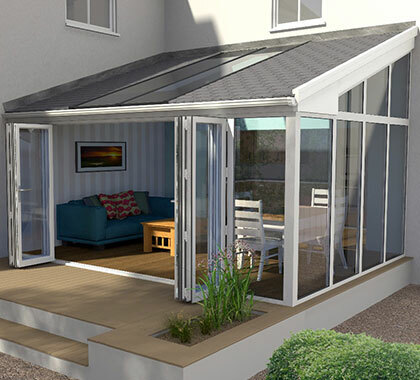 UltraRoof has a proven pedigree and will provide comfort and peace of mind for many years to come. 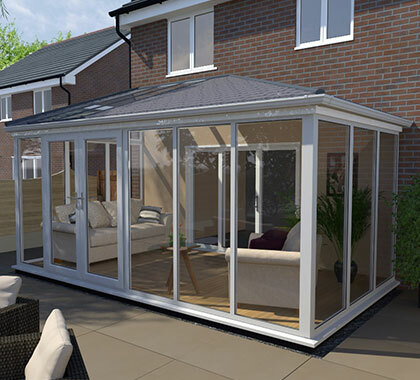 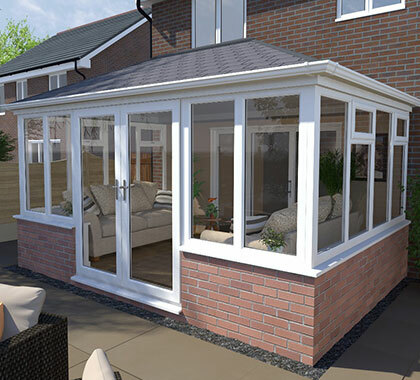 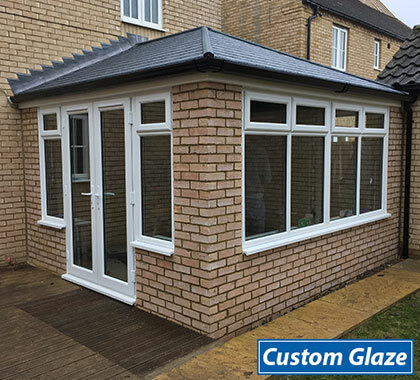 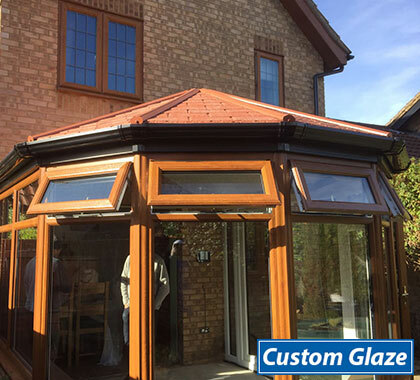 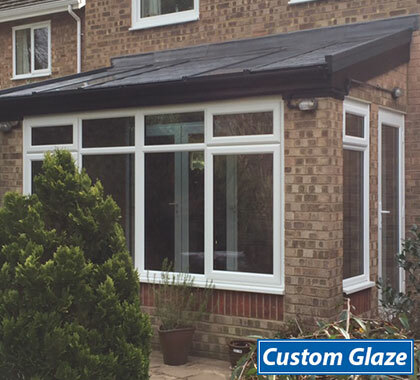 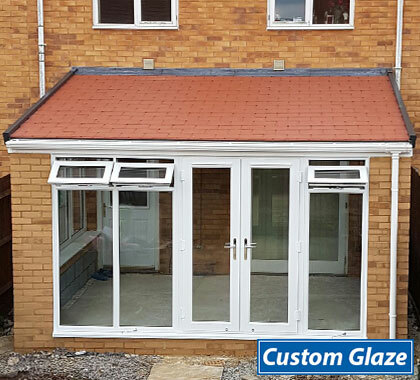 The complete roof is pre manufactured to ensure consistent quality on site and speedy installation with minimal waste and minimal disruption to your home compared to other tiled roof solutions.